The dog is protecting a possession, food or water dish or puppies. The dog is protecting a resting place. The dog is protecting its owner or the owner's property. The child has done something to provoke or frighten the dog (e.g., hugging the dog, moving into the dog's space, leaning or stepping over the dog, trying to take something from the dog). 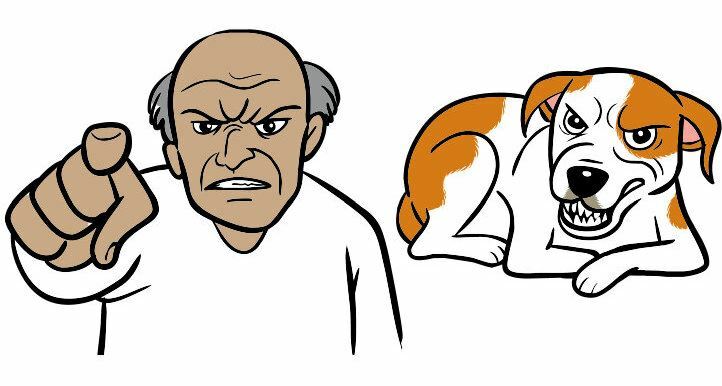 The dog is old and grumpy and having a bad day and has no patience for the actions of a child. The dog is injured or sick. The child has hurt or startled it by stepping on it, poking it or pulling its fur, tail or ears. The dog has not learned bite inhibition and bites hard by accident when the child offers food or a toy to the dog. The child and dog are engaging in rough play and the dog gets overly excited. The dog views the child as a prey item because the child is running and/or screaming near the dog or riding a bicycle or otherwise moving past the dog. The dog is of a herding breed and nips while trying to "herd" the children. How do they warn us? The dog gets up and moves away from the child. The dog turns his head away from the child. The dog looks at you with a pleading expression. You can see the "whites" of the dogs eyes, in a half moon shape (see photo at right). The dog yawns while the child approaches or is interacting with him. The dog licks his chops while the child approaches or is interacting with him. The dog suddenly starts scratching, biting or licking himself. The dog does a big "wet dog shake" after the child stops touching him. 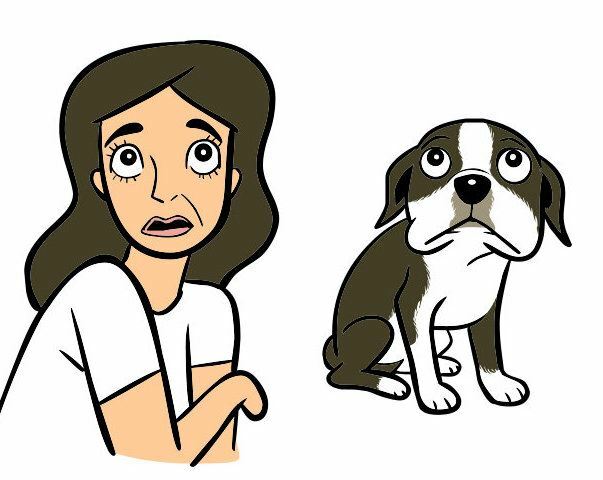 Click here to view contrasting photos of different dogs that illustrate the difference in expressions of dogs that are happy and dogs that want to be left alone. Stress to children that they should only pet happy dogs. You may think that your dog loves to have the children climbing all over him and hugging him, but if you see any of these signs, then you are being warned that a bite could occur if the dog feels he has no other way of defending himself. Do your dog and your child a favor and intervene if you notice any of these signs.